Time is running, train is leaving. Great Britain, Germany, Netherlands, UAE, Lithuania, Kazakhstan, Belarus, Ukraine, Russia - countries that are the most eager to take part in Red Apple 2014. Also Scandinavian and Asian countries have recently been very interested in participating, and we are extremely glad about that considering the Euro-Asian concept of the festival. 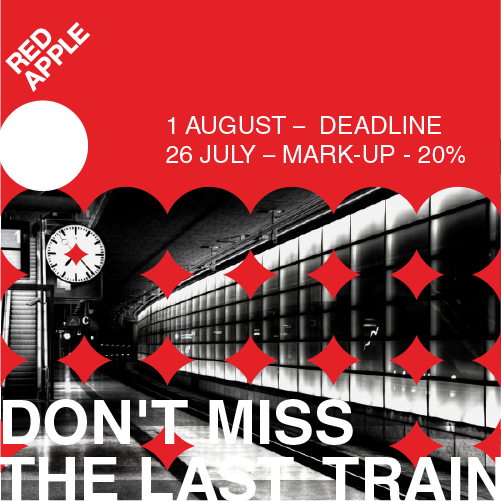 Meanwhile, everyone who is planning to take part in the International Advertising Festival Red Apple this year should submit their works as soon as possible, because the deadline, 1st of August, is coming, and an extra charge of 20% will have to be paid starting from 26th of July. Known for his infectious laughter and healthy appetite, Yang is also famed for shaping the creativity in Asia. Under his leadership, JWT won ‘Agency of the Year’, he was named ‘Creative of the Year’, and the President of Singapore crowned him the ‘Designer of the Year’. The advertising campaigns Yang led topped the Global Gunn Report numerously, won China it’s first-ever Cannes Grand Prix, and claimed the all-time most awarded print campaign in the world. His creative reputation, solid leadership and consistent track record earned him a place on the Cannes Chimera Committee, where he was mentor to the ‘Grand Challenges Exploration’ in Seattle, organized by the Bill & Melinda Gates Foundation. 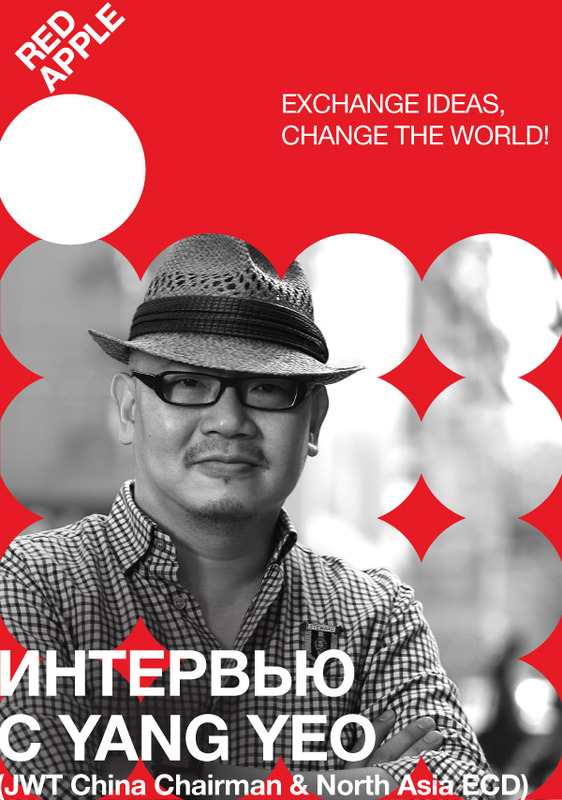 Beside his achievements in advertising creativity, Yang is also known for his structural and spatial design projects, which he and his teams has won the Grand Prize at the Design for Asia Awards, The International Architecture Award, Chicago Athenaeum Good Design Award, World Architectural Festival, Architectural Review House Award, and the President’s Design Award.